Download this set of 36 free Photoshop plaid patterns and use them to add tartan texture in your graphic design projects. Photoshop tartan plaid patterns are useful in all kind of projects, to create cool backgrounds for example. This set includes 36 seamless plaid patterns that you can use in Photoshop. Simply download the PAT file and you have some cool Photoshop plaid patterns to play with. You can use these Photoshop plaid patterns to add texture to mockup objects like cups, phones, T-shirts, etc. How to make plaid pattern in Photoshop? It’s really easy using these tartan check seamless textures. You can use a Gradient Map adjustment layer to easily change the color of the patterns. You can even create a Photoshop plaid brush using these patterns. Just use the Photoshop plaid pattern download to get these useful resources. Online you can find a plaid pattern maker. So, if you look for plaid patterns this freebie is great! 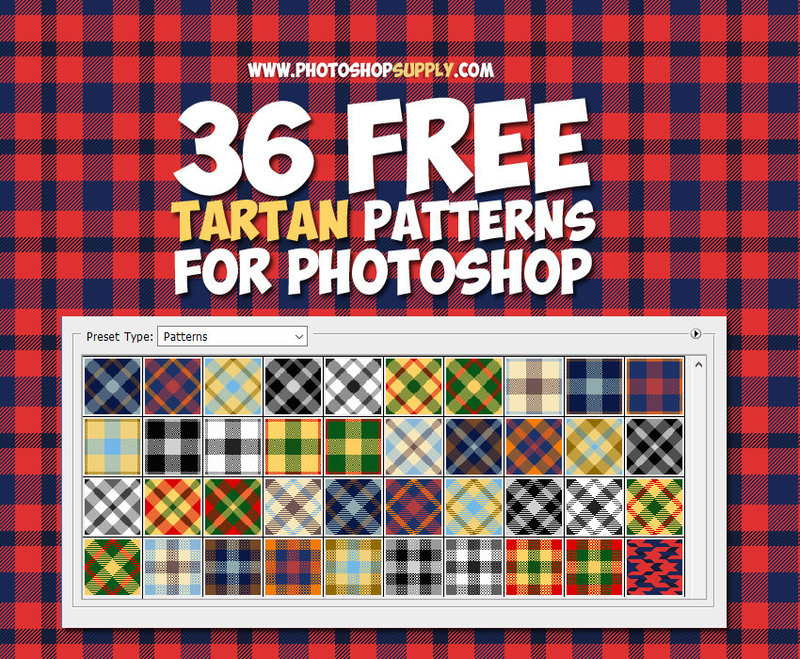 Create your own tartan backgrounds and wallpapers with these free Photoshop patterns. The list contains Scottish tartan patterns and buffalo plaid patterns with different color combinations. You have some classic black and white plaid patterns and also some cute Christmas plaid patterns. This freebie contains 1 Photoshop PAT file(patterns) to make tartan plaid backgrounds in Photoshop.